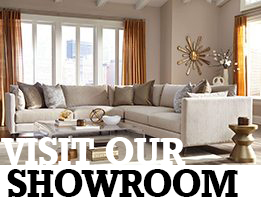 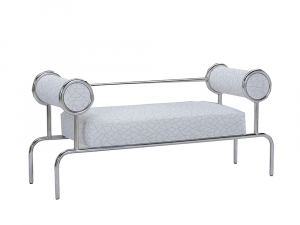 Synonymous with a cool urban Bohemian lifestyle, providing Soho Chic appeal, this stunning collection of furniture is highlighted by Mid-Century Modern designs that offer a unique architectural ambiance to the room. 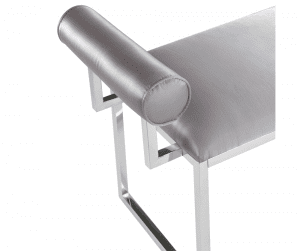 Seat and rolled armrests are upholstered in a subtle white and grey tone-on-tone abstract pattern. 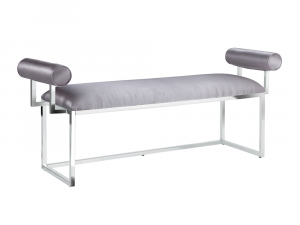 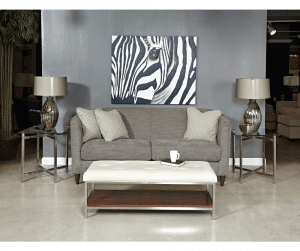 Elegant and comfortable, featuring a lightweight, brass plated brushed stainless steel frame under a thick padded tufted faux leather cushion, this modern bench will easily fits your decor and won’t go unnoticed. 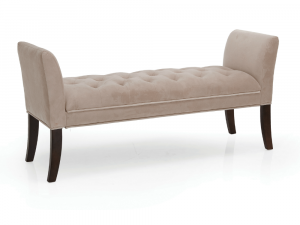 Stunning and elegant this gorgeous accent bench adds a sense of chic flair to any living space. 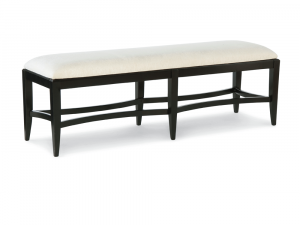 Crafted from select hardwood solids, featuring a lush micro-fiber cover, accented by beautiful nail head trim and espresso finished legs, this bench fits seamlessly with a variety of home decor styles. 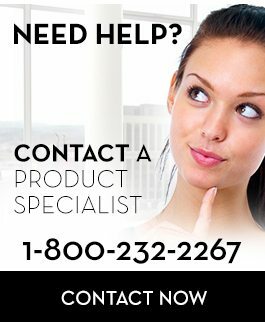 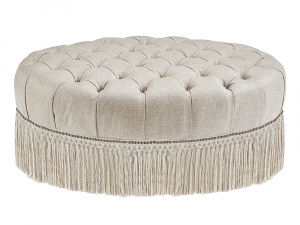 Go ahead; add a touch of flair. 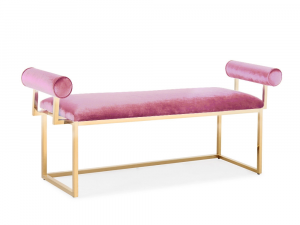 Gorgeous upholstered settee with pink velvet cover and polished gold steel frame. 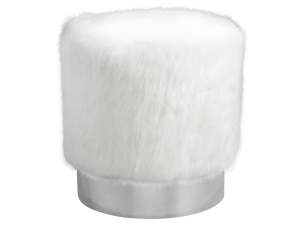 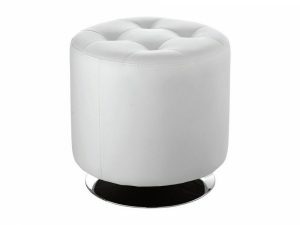 Fabulous for formal or casual occasions as a seating centrepiece or accent. 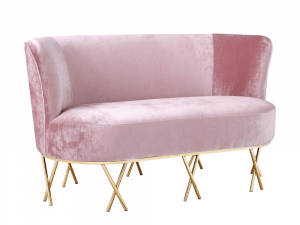 Upholstered in a pink velvet fabric. 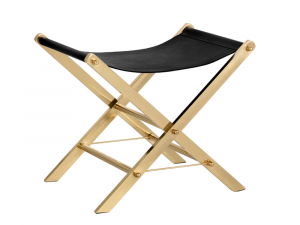 Gold finished, polished steel frame. 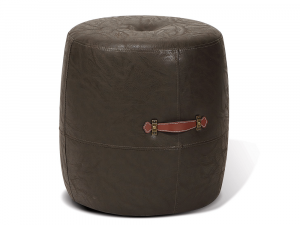 A gorgeous addition to any style of living space. 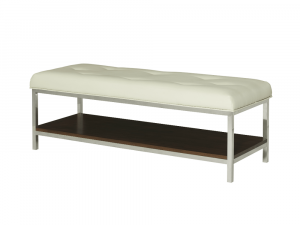 Featuring a sleek taupe leather cover with elegant button tufting and a sturdy metal frame, this accent bench is a versatile piece that can be situated in a number of places. 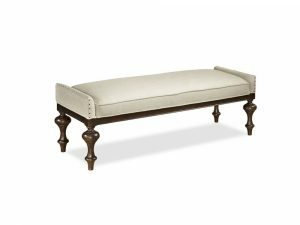 Lending a little extra space, with its stylish and practical fixed wooden shelf, adding this bench to your decor is an easy way to embellish on luxurious comfort. 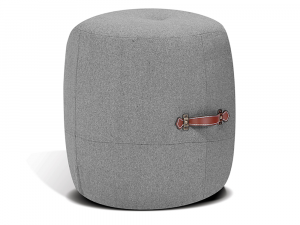 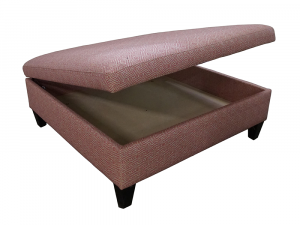 This ottoman is the perfect way to add style and get some additional storage, without taking up extra space! 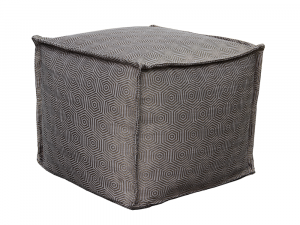 Features hinged lid for storage. 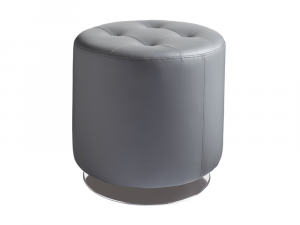 On display in-store in Gasque Dusk fabic. 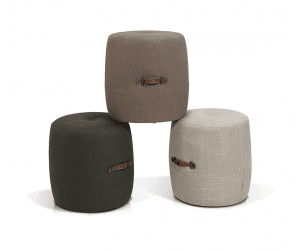 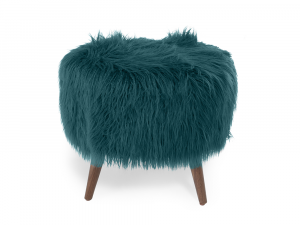 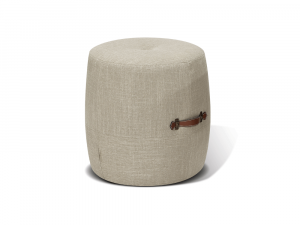 This striking stool will leave you captivated and comfortable; while lending modern appeal to your decor. 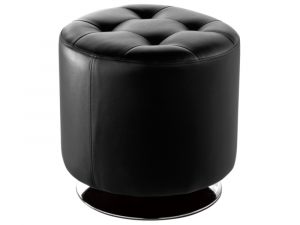 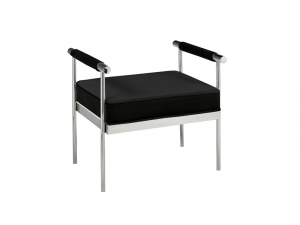 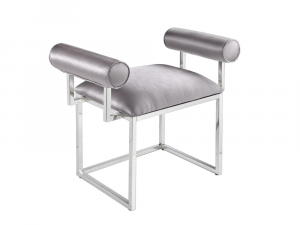 Features a suspended black leather seat in a shagreen print. 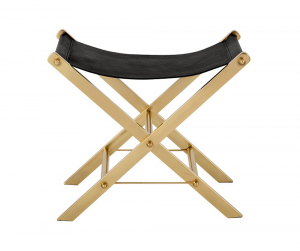 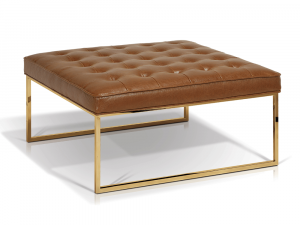 Available to order in black shagreen, with brass frame, white solid leather with brass frame or, tan solid leather with polished steel frame. 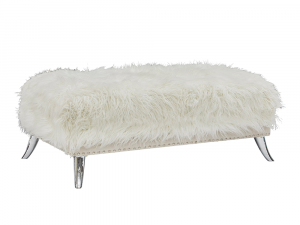 Instantly give your home a chic Beverly Hills style ambiance with this gorgeous accent bench. 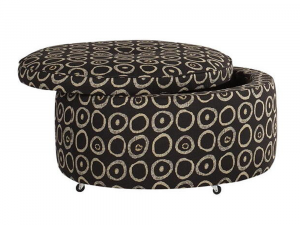 Available to order as an Ottoman. 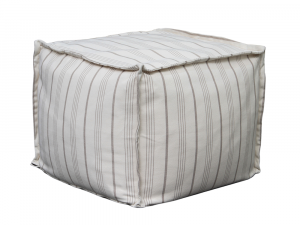 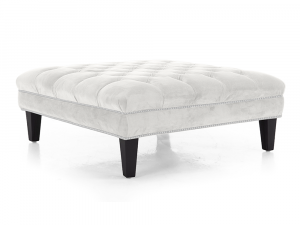 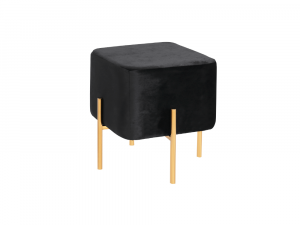 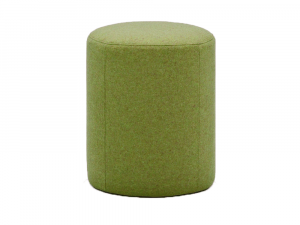 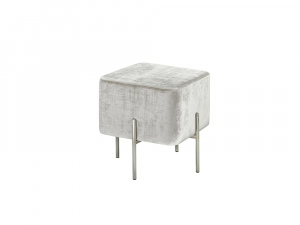 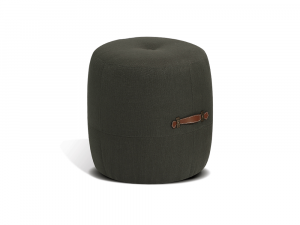 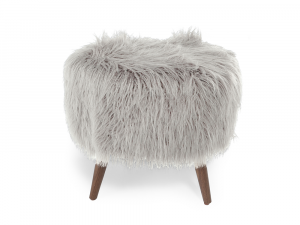 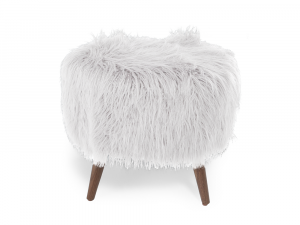 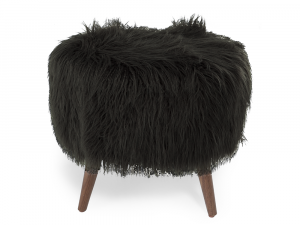 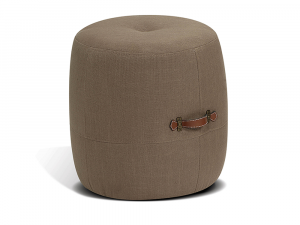 Instantly give your home a chic Beverly Hills style ambiance with this gorgeous Ottoman. 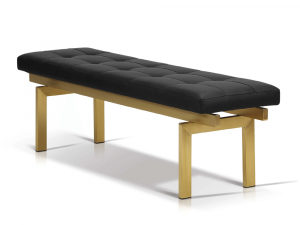 Available to order as an Accent Bench.